“IBM established a landmark in computing Friday, announcing a quantum computer that handles 50 quantum bits, or qubits. The company is also making a 20-qubit system available through its cloud computing platform. IBM, Google, Intel, and a San Francisco startup called Rigetti are all currently racing to build useful quantum systems. These machines process information in a different way from traditional computers, using the counterintuitive nature of quantum physics. The announcement does not mean quantum computing is ready for common use. The system IBM has developed is still extremely finicky and challenging to use, as are those being built by others. In both the 50- and the 20-qubit systems, the quantum state is preserved for 90 microseconds—a record for the industry, but still an extremely short period of time. Nonetheless, 50 qubits is a significant landmark in progress toward practical quantum computers. Other systems built so far have had limited capabilities and could perform only calculations that could also be done on a conventional supercomputer. A 50-qubit machine can do things that are extremely difficult to simulate without quantum technology. Whereas normal computers store information as either a 1 or a 0, quantum computers exploit two phenomena—entanglement and superposition—to process information differently. “We are really proud of this; it’s a big frickin’ deal,” Dario Gil, who directs AI and quantum computing at IBM, told MIT Technology Review. Gil made the announcement at the IEEE Industry Summit on the Future of Computing in Washington, D.C., on Friday morning. 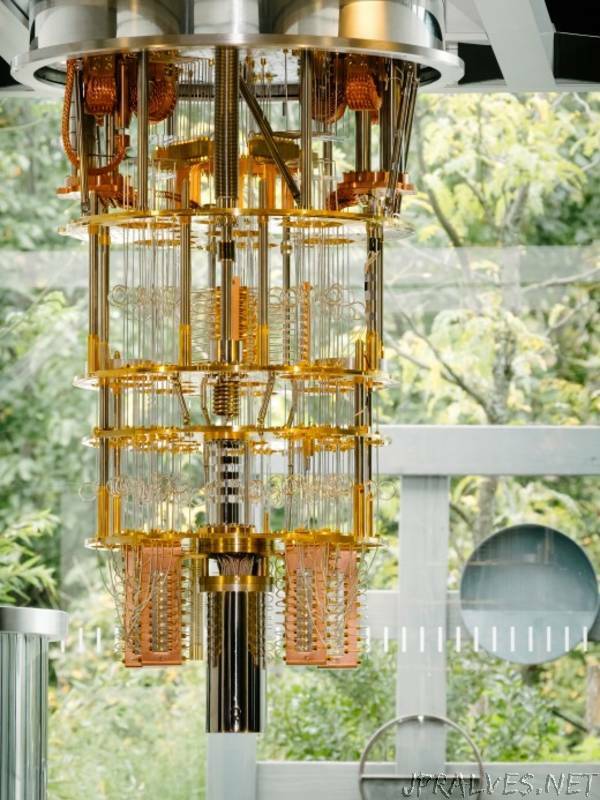 IBM has a storied history in quantum computing. The company’s researchers helped create the field of quantum information processing, and it has pursued fundamental research in the area for decades. It has also been making significant progress toward useful quantum systems, first by making quantum computers accessible through the cloud and developing relevant software tools, and second by showing how even a simple machine can do useful work in fields like chemistry (see “IBM Has Used Its Quantum Computer to Simulate a Molecule—Here’s Why That’s Big News”). IBM is also announcing an upgrade to its quantum cloud software system today. “We’re at world record pace. But we’ve got to make sure non-physicists can use this,” Gil says. The announcement should perhaps be treated cautiously, though. Andrew Childs, a professor at the University of Maryland, points out that IBM has not published details of its system in a peer-reviewed journal. “IBM’s team is fantastic and it’s clear they’re serious about this, but without looking at the details it’s hard to comment,” he says. Childs says the larger number of qubits does not necessarily translate to a leap in computational capability. “Those qubits might be noisy, and there could be issues with how well connected they are,” he says. Google has also taken a keen interest in quantum computing in recent years. Its researchers have made significant progress with superconducting systems in particular, heightening competition with IBM. Earlier this year, researchers at Google suggested that a quantum computer capable of using 50 qubits would surpass the capabilities of a conventional supercomputer—a landmark dubbed “quantum supremacy” (see “Google Reveals Blueprint for Quantum Supremacy”).